In times of reducing interest rates at both banks and post office, life insurance plans are gaining prominence as the safe (and sure) investment destination. Talking of Life insurance plans, there has been considerable debate on the utility and feasibility of ULIPs as the investment option for Indian investors. However, since their launch in 2000 in the second avatar (first being 1971), most ULIP plans have given substantial returns to the investors apart from giving Life Insurance as additional security benefit. Unit Linked Insurance Plans or ULIP as they are generally called are life insurance products which give the dual benefit of security of life insurance plus returns of mutual funds. ULIPs are a blessing for financial advisors in India who had to earlier literally push their clients to secure their family with a life cover. Now a ULIP is well received as a genuine investment destination and has gained prominence as a rewarding life insurance product. Among the top performers on ULIP returns front is Edelweiss Tokio Life Insurance whose funds are awarded 4 Star + by Morning Star. 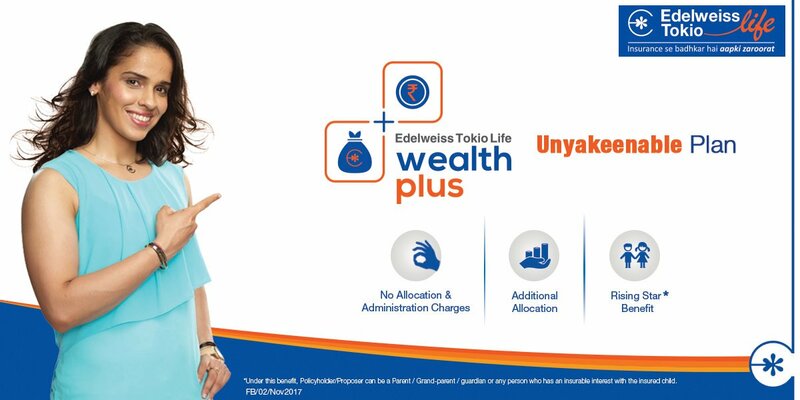 Today at a mega launch on digital medium, Edelweiss Tokio presented its new ULIP product Wealth Plus which is set to take ULIP market in India by storm. 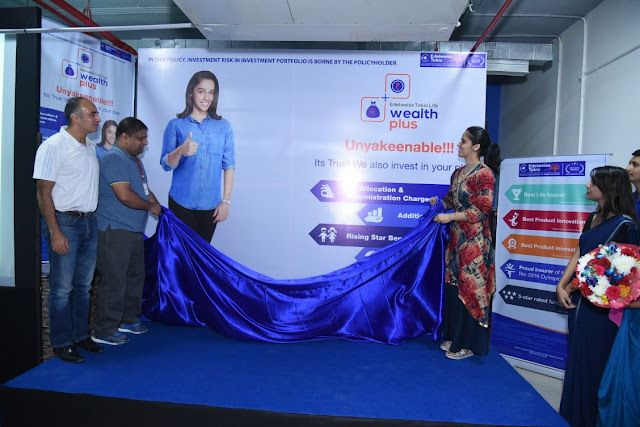 Wealth Plus as the name suggests is a wealth aggregator life insurance plan which gives much more than life cover and standard ULIP returns. No Upfront Charges which means 100% of your premium will be allocated. Two Additional investments in your fund by Edelweiss Tokio in the form of Extra Allocation and Premium Booster as a reward for paying your premiums on time. Rising Start Benefit which is for securing the child's future in case you are saving for your child or ward. Two investment strategies to suit your need - a pre-defined strategy based on your life stage and a self-managed strategy. Change in Premium Paying Term (PPT) - to lend flexibility to your investment commitment compared to traditional life insurance plans. Plus the required ULIP features like Unlimited free switches between funds, unlimited Premium Redirection, partial withdrawals and top-up premiums. These features help Wealth Plus stand out in the crowded Life Insurance market and are truly in favour of the investor. Currently, no life insurance product, let alone ULIPs from any other company in India have such an attractive and investor-friendly product. Though investment returns on ULIPs, just like Mutual Funds, are subject to market risks, the advantage with ULIPs is that the fund managers have to adhere to IRDA guidelines to ensure the safety of investors’ money, and at the same time they have the backing of lock-in period which ensures that they can sail through the good and bad times of market and offer the power of compounding to the investors. Of course, there is a slew of ULIPs available in the market, but none of them are as convincing and feature-rich as Wealth Plus. You can Click here for more information on Wealth Plus.